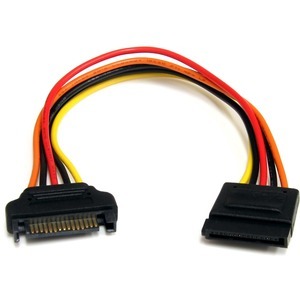 Extend SATA Power Connections by up to 8in. 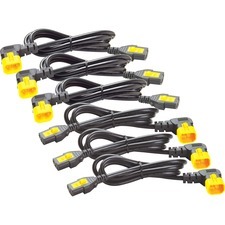 The SATAPOWEXT8 8-inch, 15-Pin SATA Power Extension Cable enables you to extend the reach between internal SATA power and drive connections by up to 8 inches. The extension simplifies drive installation by overcoming typical connection limitations, and it reduces the risk of damage to the drive or motherboard SATA connectors by eliminating the need to strain or stretch the cable in order to make the necessary connection.